My new villa is in a truly unique place: it is located at the very end of a beautiful rice-field valley, surrounded by a wall of a tropical forest with a natural stream falling from the heart of the woods. There are also 2 natural and preserved fish ponds with their original residents: fish and frogs. Thanks to those there are no mosquitoes whatsoever. The villa is also greatly isolated from any neighbors as there are no roads coming in or out from the property; there is only a path built by the Balinese in order for them to reach a hidden in the forest temple. 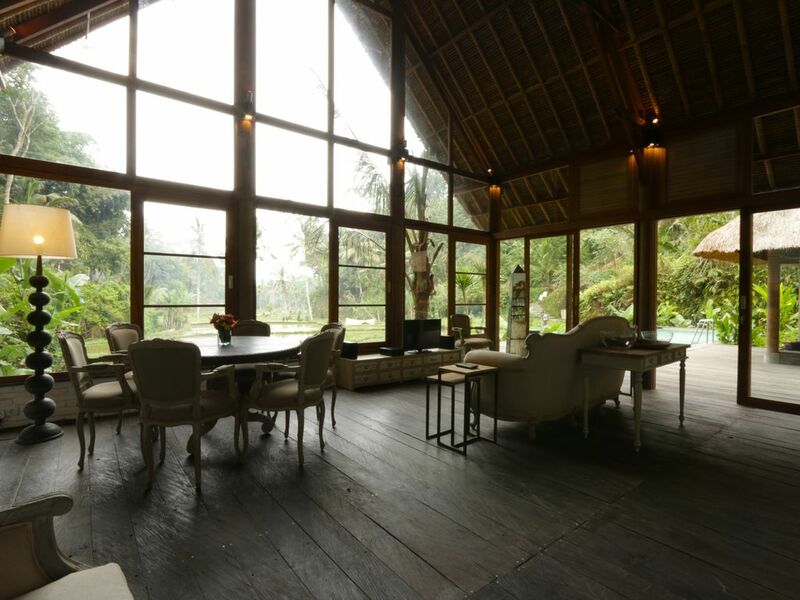 Villa`s aquatic setting is truly grandiose - not only the stream, the fish ponds but also the vast rice-fields stretching along the fantastic valley make it a phenomenal natural spa. Your skin will feel divine there. The rice-fields end straight in front of the infinity pool which makes the view magnificent and constantly changing, too. There is no air-condition devices in the villa because of a constant breeze coming from the valley. There is nothing better than a natural air-conditioning, right? So private and healthy my villa will be perfect for all sorts of romantic/ meditation/life-loving retreats.